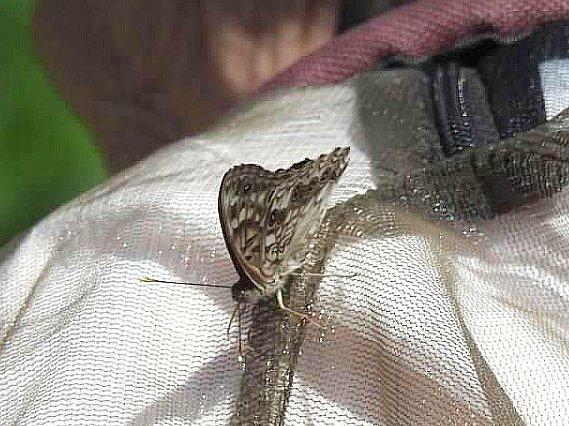 Southern Wis Butterfly Association. The forecast was for cool and mostly cloudy, but on the day of the field trip it was 75 degrees+ and sunny! 28 participants. 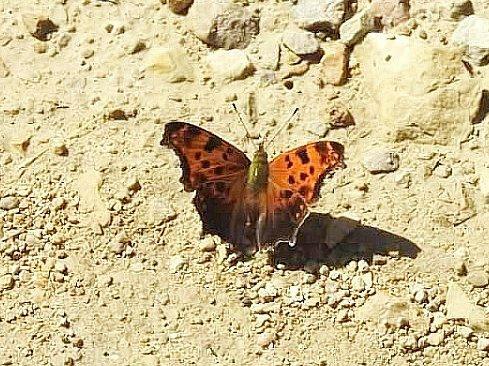 The rain from the week before had attracted butterflies to the gravel path. We had an exceptional show of butterflies! Comparing with the previous 7 years, this trip produced the highest number of individuals for Baltimore Checkerspot, Great Spangled Fritillary, Bronze Copper, Eyed Brown and Eastern Comma! To everyone's delight the Hackberry Emperors repeatedly landed on people! We saw 15 species. Photos by Gil Helland.